Summer is on it's way and with it pastel and bright colours everywhere! Whether it is clothing, hair or well... nail polish - summer is the perfect time to rock any colour you want! I have been loving all the pastel shades and bright colours that have been coming onto the high street and social media scene this year so far and when I spotted these new nail polishes from Maybelline I knew they were a must for the next few months! 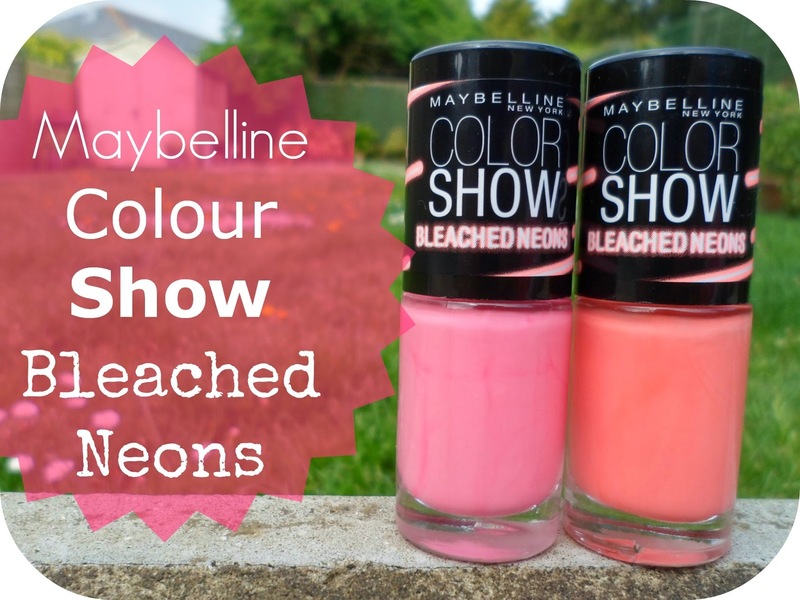 These are from the new Colour Show collection from Maybelline and are called Bleached Neons. The shades I picked up were Tropink and Coral Heat. 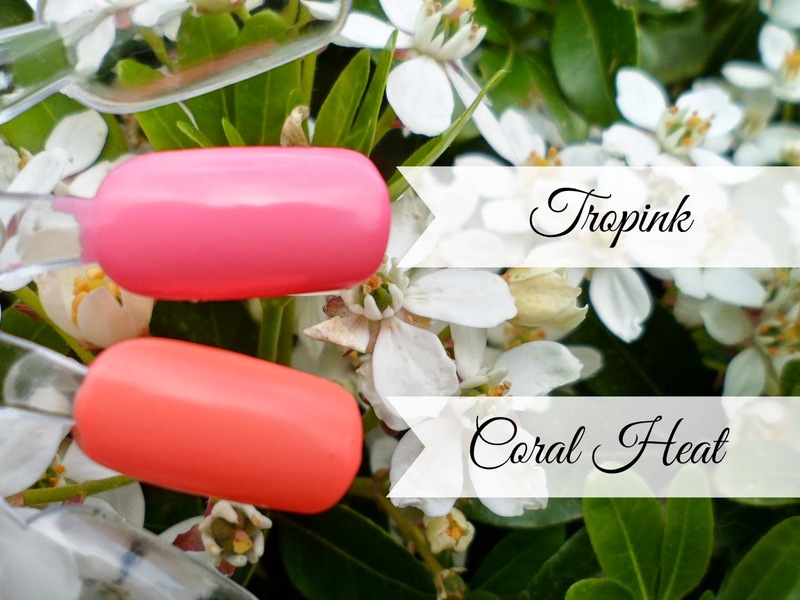 Tropink is a fabulous bright baby pink shade and Coral Heat is a fun summery coral orange. These colour aren't full-on luminous neons and they aren't subtle pastels they are some amazing place inbetween and I love them! They will look amazing in the summer with a tan and with the amazing fashion out there on the high-street at the moment it won't be hard matching clothing to them either! From what I've seen so far this is another great collection from Maybelline and their Colour Show polishes! These polishes are £3.99 each and if you are looking for some new summer shades I highly recommend them! These look amazing and a really good price aswell! May have to treat myself! Total bargain - especially as there isn't any like them from other drugstore brands! I love the "coral" one, can't wait to have it on my nails! Coral is beautiful! Love it! They look so pretty, I want them both! I love Maybelline Colour Shows, I think they are incredible and these colours are gorgeous! I am all about the neons!